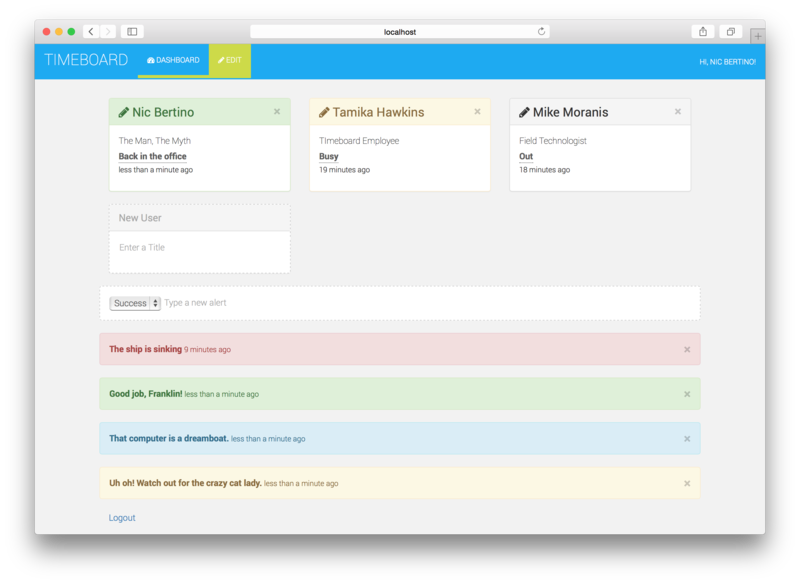 Timeboard helps teams communicate with the magic of Meteor. Each member gets a Status Card. Status Cards take a short message and one of three states: Available, Busy, or Out. Timeboard also has alerts, which show on everyone’s dashboard. Timeboard was built to be mobile friendly, but it’s more than a pretty face; Timeboard is designed for people on the move and makes updates (and administration) fast and simple. Administrators can make edits directly to the dashboard by using Edit Mode. Alerts, profile changes, and other updates are pushed out immediately. No longer need that alert about the crazy cat lady? Just remove it in edit mode and it’s instantly gone. Deploying is easy. Just download and deploy. 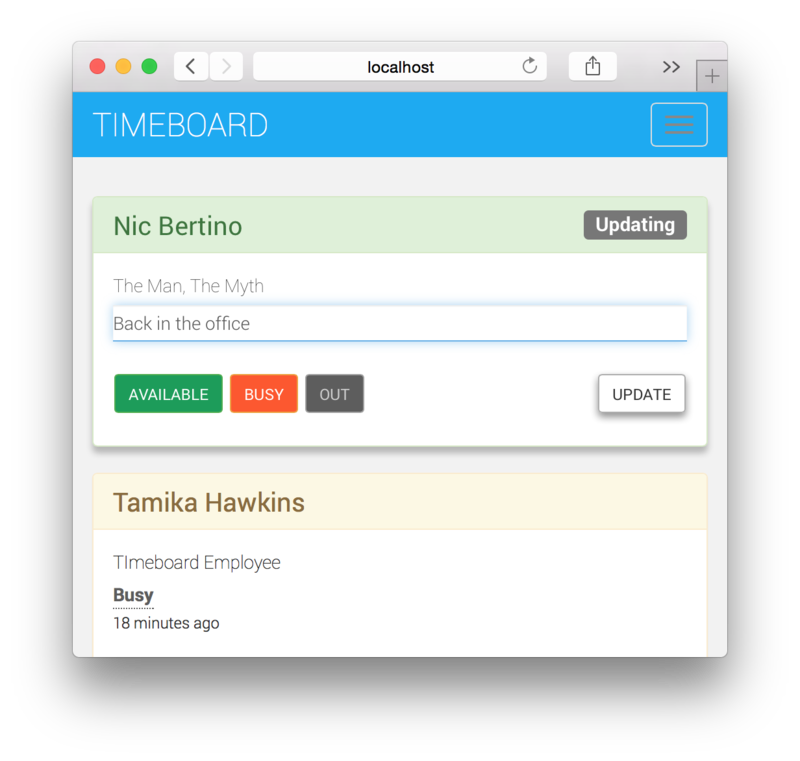 Timeboard will help you with your first user.